Upon arrival in the Philippines our crew was treated with the best hospitality by Carl and Jaime from the United Crew. They took care of everyone and a huge props needs to go to them! 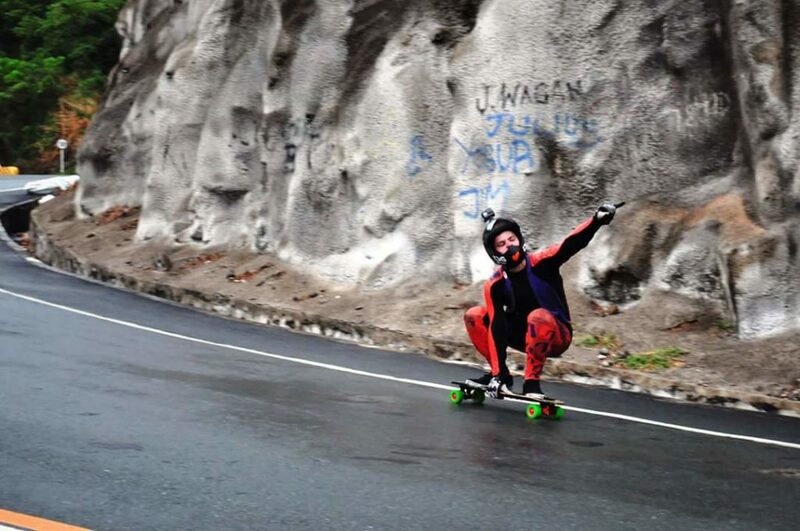 Leading up to the race we skated everyday and lived like gods in paradise. 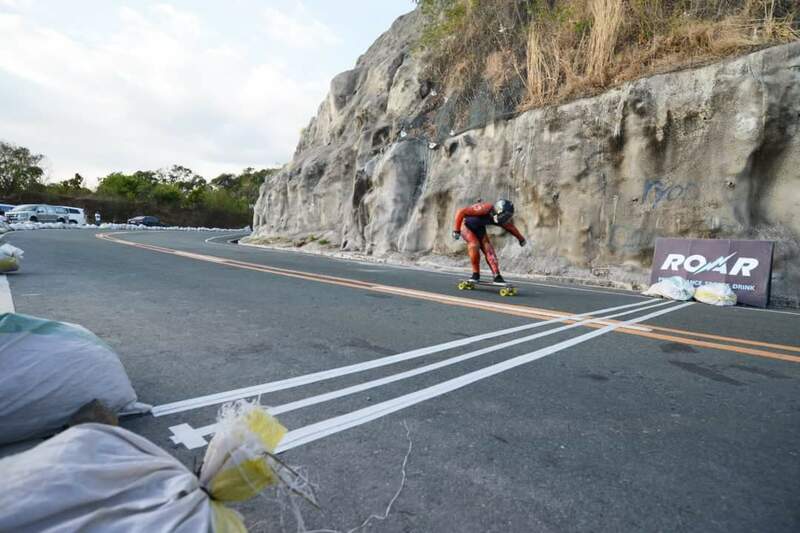 The Philippines is full of so much natural beauty, and awesome hills to skate. Mitch leads Api Ihaia and the pack. Jaycr Mancera photo. 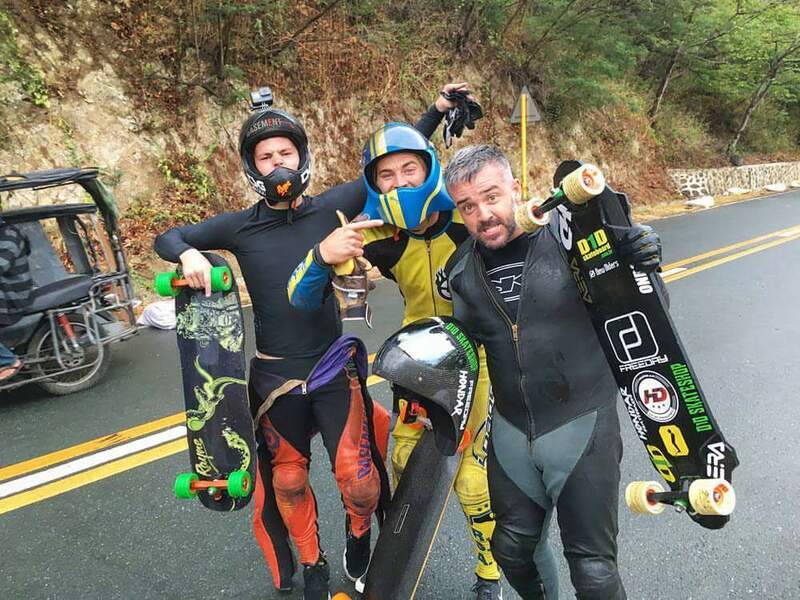 Practice day was full of bulk pack runs and some sketchy fun. Everyone was very keen to go fast and tight! At the bottom, after runs it was so hot that it looked as though most international riders had gone for a swim... but that was just sweat. Thankfully a local shop close by had cheap beers which eased the heat. After skating we were back to the campsite, or rather hammock city. Everyone had their own piece of paradise between the trees and the sunrises seen from here were unbelievable. Qualification day was again: a hot one. After some fiddling with the timing system we were a go, but were unfortunately unable to see our times until the end of the day. I felt I was getting faster throughout the day and it showed. I qualified 4th behind, Dalua, Tiago, Santiago. Race day was gonna be tight! Mitch puts out the landing gear a little too early, but snags 4th Quali anyway. Photo Miko Montifar. Race day was chill to begin with, the top 12 riders had the morning off while the lower placed riders raced it off in the repechage for the last 4 spots into the final 16 tree. Watching the heats come down so tightly packed was getting everyone amped for some finals racing. Then out of no where the rain came in. Mitch takes rain riding seriously. Unknown photographer. Hit us up if you know! We sat it out for an hour but it didn't pass. The course became wild, in the dry it is a full grip track but the rain makes the chicane and tight "bullet corner" a much more difficult task. Racing was still super tight and making it through heats was tough. I fought it through to the final with Dalua, Mauritz and Tiago. We all sent it down the track from the get go. Full balls to the wall racing! Tiago and myself battling it out right behind Dalua and Mauritz. We came super tight into one of the chicanes and I hit some mean chunder got sent under the guard rail and I thought that was it. But Tiago also went down into a storm drain!!! I regained my board and pushed into third for another podium on my tour! Another podium on the tour! Billy Bones photo. A huge thanks to Rayne Longboards, Vicious grip and all my other sponsors for all the support! C'ya in Korea!